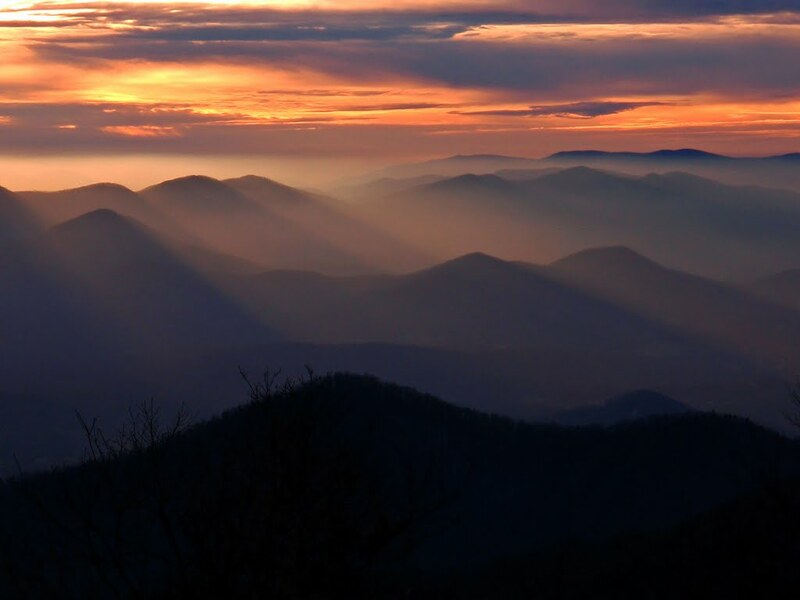 Georgia, the Peach State or Empire State of the South, surely has some of the most amazing and inspiring sights you have ever witnessed. 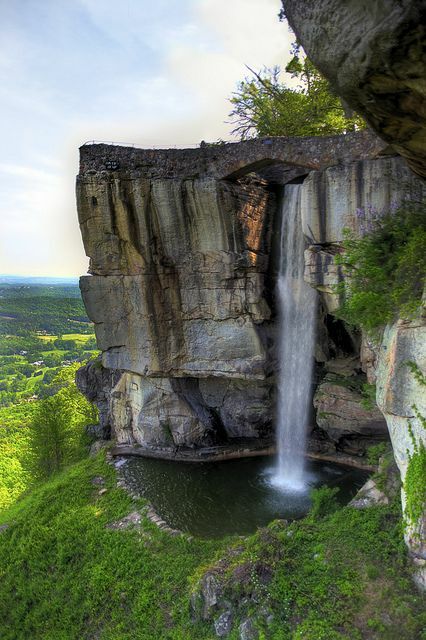 It is situated in the southeastern part of the United States. In this list you’ll find some of the most beautiful places to visit in Georgia. 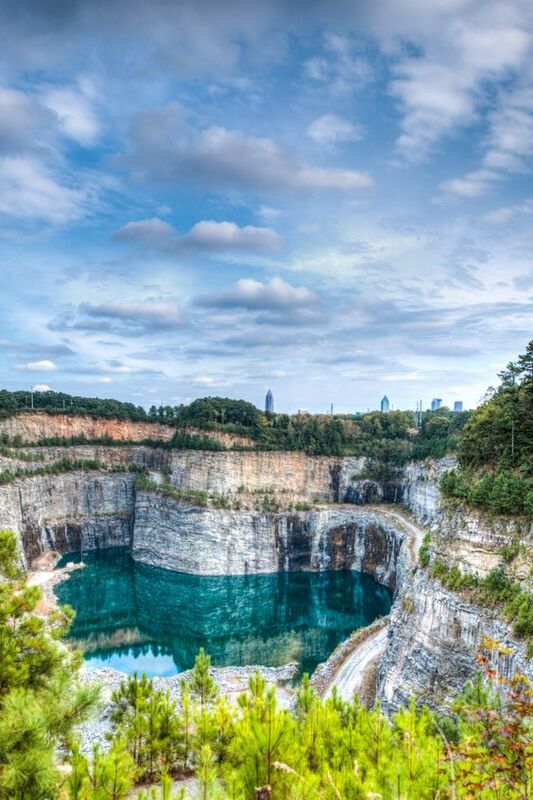 Westside Park is a proposed park in the City of Atlanta to be located on the site of the former Bellwood Quarry, between Johnson Rd. and Donald Lee Hollowell Parkway, and between Bankhead and West Midtown. 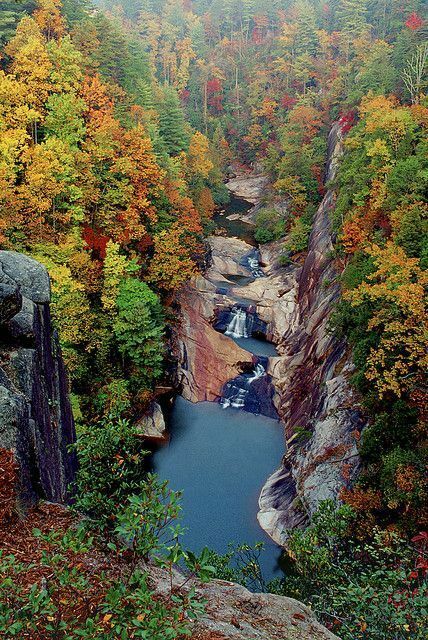 Tallulah Falls is the deepest gorge east of the Mississippi, and is more aptly called Tallulah Gorgeous, especially when you consider the nearly 2,700-acre Georgia state park adjacent to it. 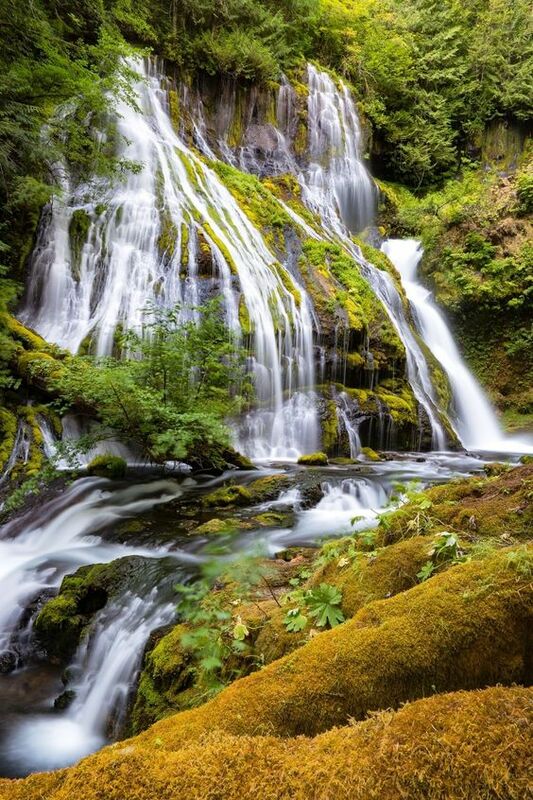 With six waterfalls, which cause the river to drop 500ft over one mile, an 80ft-high suspension bridge, and ample hiking and biking space, it’s literally breathtaking. 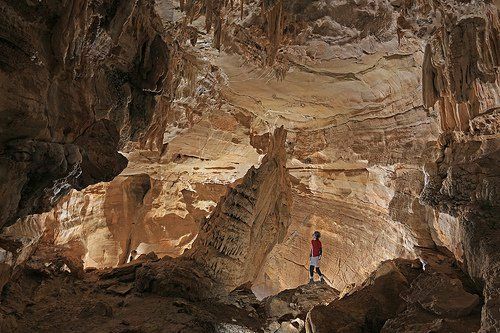 Fricks Cave is Georgia’s richest biologic environment in Georgia and is also home to the gray bat. Brasstown Bald is the highest point in the state of Georgia, providing a nice view of the Appalachian Mountains, the mountain is known to the native Cherokee people as Enotah. 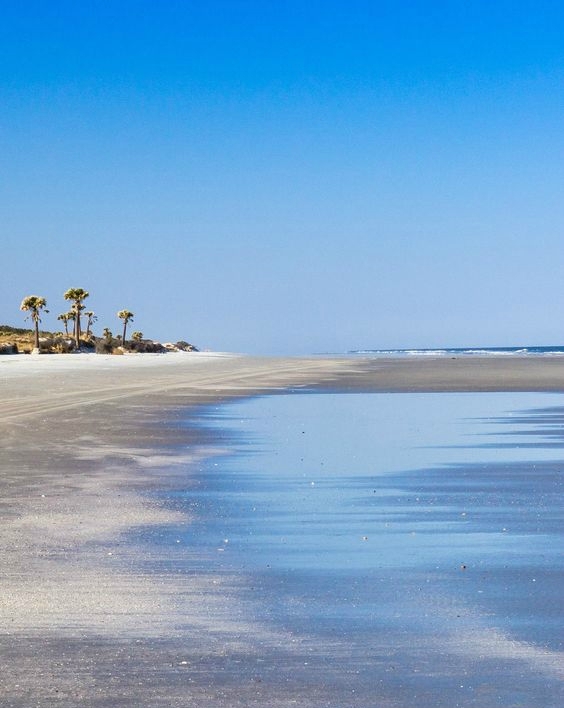 Cumberland Island is one of the Sea Islands of the southeastern United States and is the largest in terms of continuously exposed land and a place where wild horses roam the beaches. 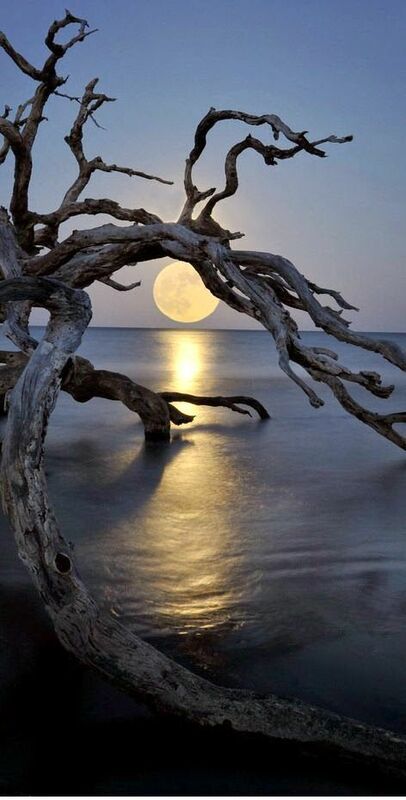 Jekyll Island is located off the coast of the U.S. state of Georgia, in Glynn County. 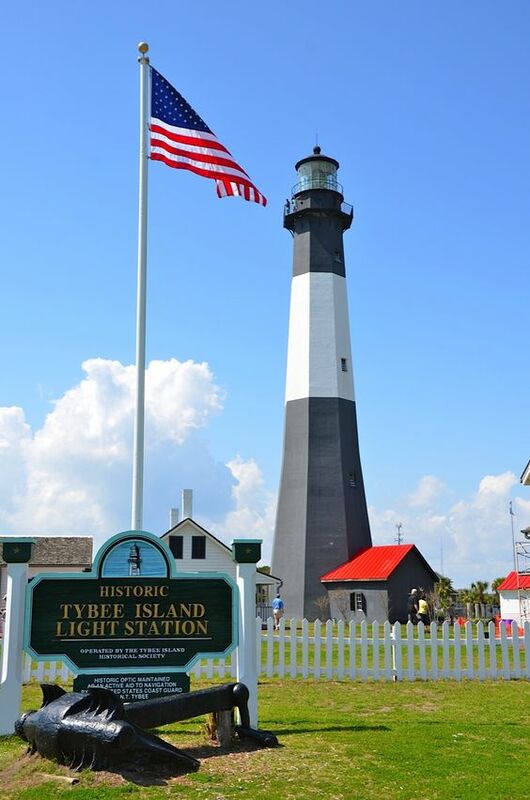 It is one of the Sea Islands and one of the Golden Isles of Georgia, all barrier islands. 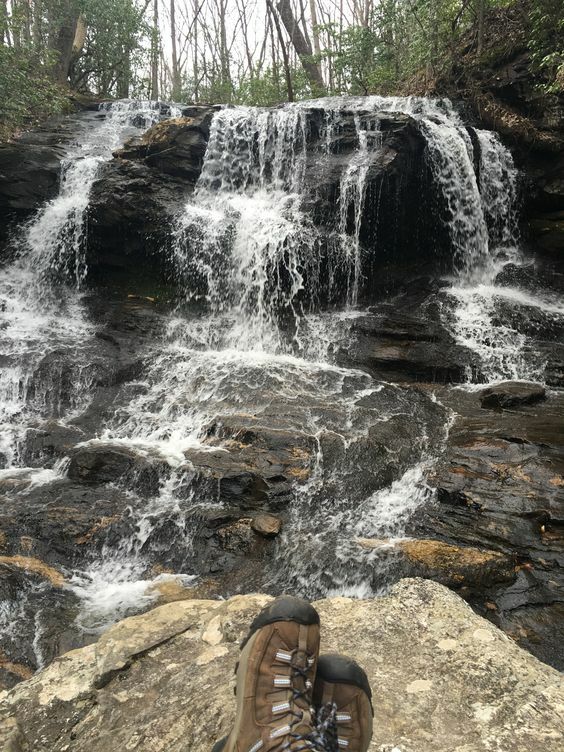 Despite being landlocked, Atlanta has some really gorgeous bodies of water nearby, including the stunning Panther Creek Falls, a cluster of multi-tiered waterfalls that drop into a pool of clear, beautiful water below. Providence Canyon State Park is a 1,003 acres state park located in Stewart County in southwest Georgia. 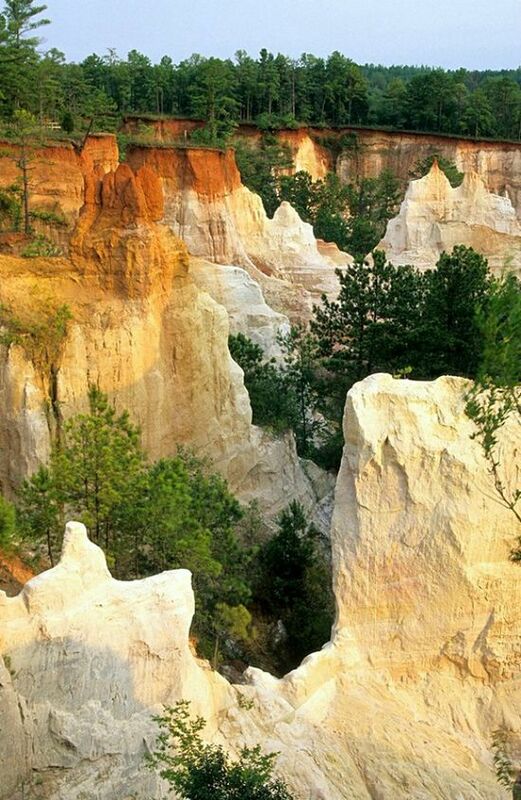 The park contains Providence Canyon, which is sometimes called Georgia's "Little Grand Canyon". 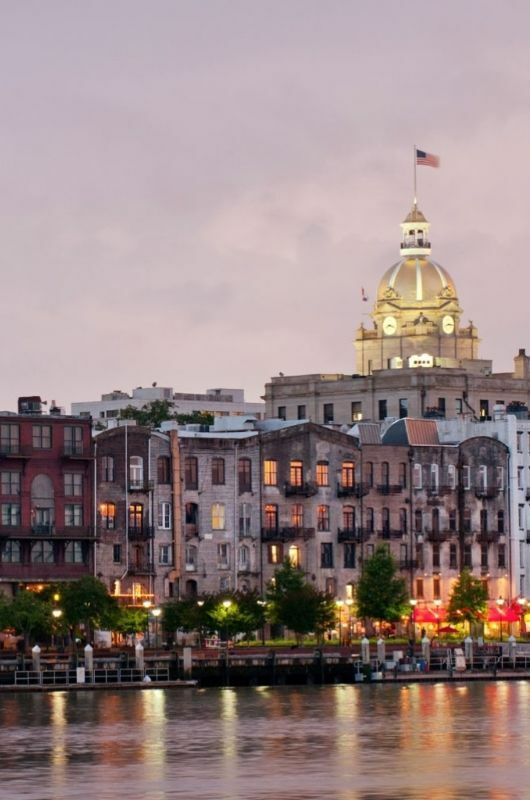 Savannah, a coastal Georgia city, is separated from South Carolina by the Savannah River. 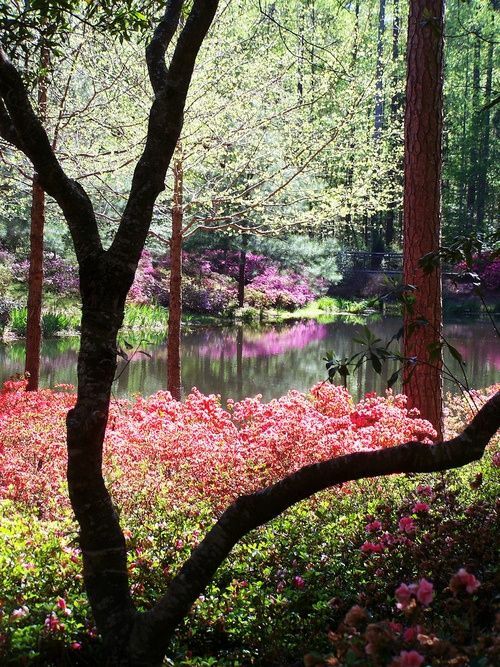 It’s known for its manicured parks, horse-drawn carriages and ornate antebellum architecture. 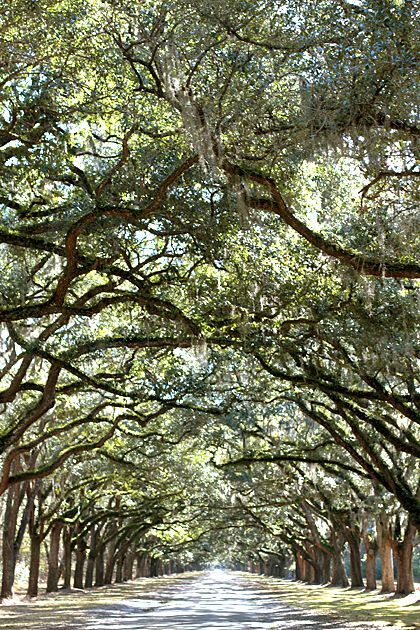 Its cobblestoned historic district is filled with squares and parks like Forsyth Park, shaded by magnolia blossoms and oak trees covered with Spanish moss. Big Canoe, Georgia is a common interest development gated community, consisting of over 8,000 acres, located in the mountains north of Atlanta, Georgia. 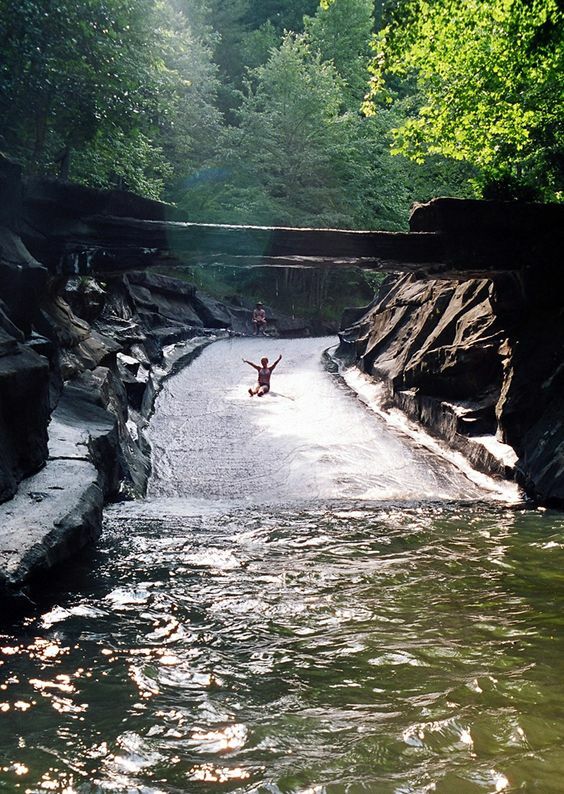 Despite being smack dab in the middle of the city, Lullwater Park is a total retreat. You can't hear the cars zipping by over the quiet sounds of leaves rustling in the trees, but you can zone out and enjoy exploring the old water mills. 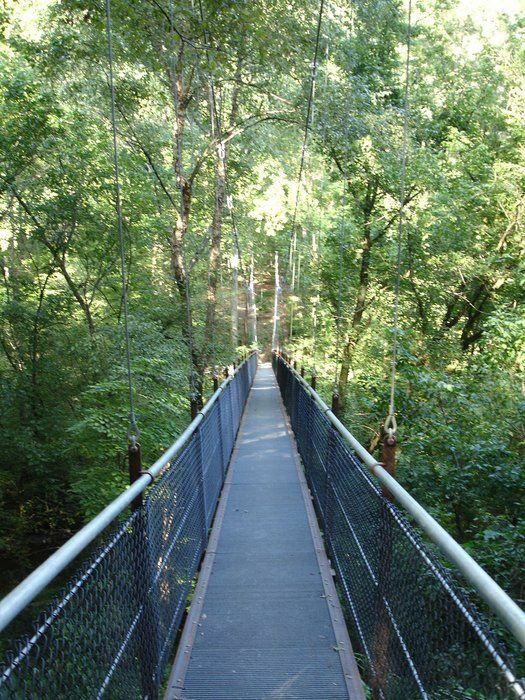 When it comes to parks, Lullwater really has it all: shade and sun, hills and open fields, multiple trails, peaceful running water and fishing ponds, and beautiful serenity. 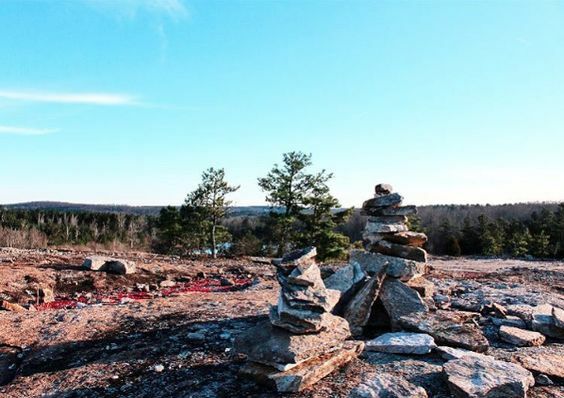 The Arabia Mountain National Heritage Area is a National Heritage Area in the U.S. state of Georgia that encompasses natural, cultural, and historical elements to form a cohesive, nationally significant environment. The Wormsloe Historic Site, informally known as Wormsloe Plantation, is a state historic site near Savannah, Georgia, in the southeastern United States.